1953) a former boxing promoter who just went under the knife to become a woman from a man at age 61 has been mocked by Telly girl, Katie Hopkins. Katie says she does not care what you think, but she thinks the former promoter looks blinding. 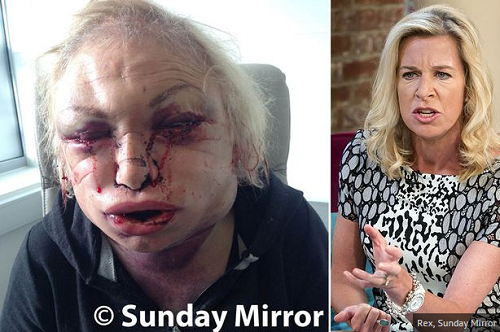 Kellie also admitted his head was twice as it used to be when he first looked into the mirror after the first stage.